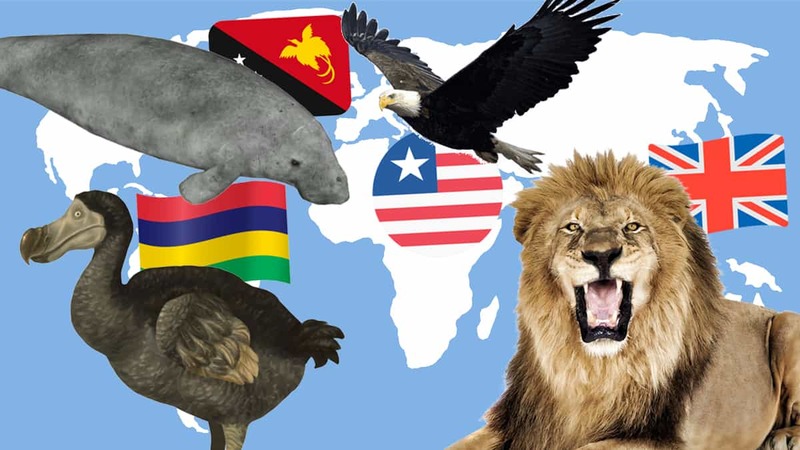 National animals around the world: Eagles, lions, tigers, and more! Do you know what a dugong is? Did you know that nearly every country has its own national animal? The lion, for example, represents a huge load of countries from Armenia to Belgium, Bulgaria, Ethiopia, Iran and even England! The UK also boasts the mute swan as its national animal, as does Denmark. You might associate eagles with America but Golden Eagles are also the national birds of Egypt, Iraq, Germany and Mexico. Like the lion, tigers are also majestic animals. They represent South Korea, Vietnam, and India, whilst the Oryx represents the UAE and countries like Jordan and Qatar! Then there’s the really funny looking animals. Related to the giraffe, Okapi is only found in the Democratic Republic of the Congo, so it makes sense that’s their national animal. The dugong is related to elephants and is the national animal of Papua New Guinea. And although the dodo has been extinct since 1681, that’s the national animal of Mauritius!